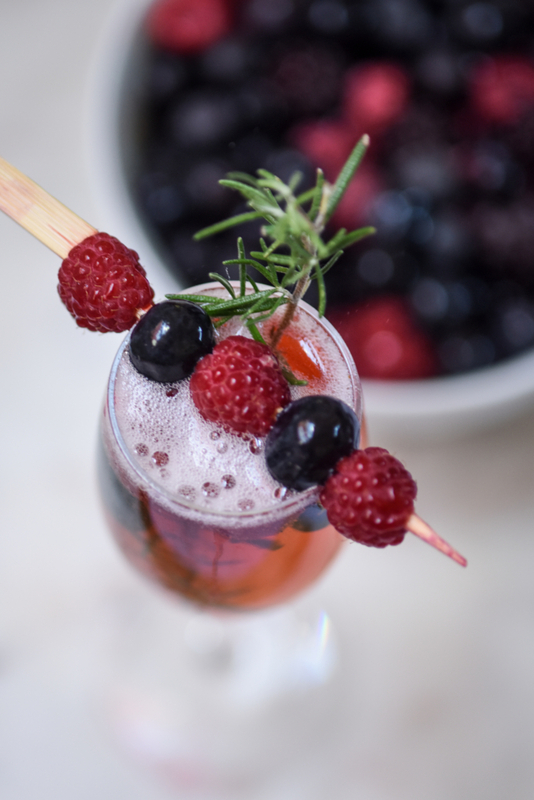 I do love a summer cocktail, particularly when sparkling is involved. At a dinner party we hosted last week, I was trying to think of an easy and refreshing cocktail to make for our guests on a balmy summer evening. A Peach Bellini immediately came to mind or an Aperol Spritz, but then I thought I would give Barker’s of New Zealand’s Squeezed Redcurrants with Cranberry and Pomegranate a whirl. The great thing about Barker’s of New Zealand cordials is that they have no artificial sweeteners and are preservative free. They have squeezed select fruits and blended them with delicious botanicals. Unlike other syrups and cordials, they also have the benefit of minimising sugar (25% less than their original fruit syrups).Their new syrup is the most delicious medley of squeezed New Zealand redcurrants with cranberries and pomegranates. It has a fruity sweet flavour, which is balanced perfectly with a touch of tartness. Established in 1969, Barker’s is on the site of the family’s original farm, located eight kilometres from the South Canterbury town of Geraldine which is nestled in the picturesque lea of the Four peaks mountain range in New Zealand. The farm is now a thriving business, making world-class jams, chutneys, syrups and condiments. The art of preserving has been passed down through generations of Barker’s, starting with grandmother Constance Barker who sourced inspiration from the homestead’s vegetable garden and orchard: Forty-seven years later, they are still preserving on a corner of their original family farm. 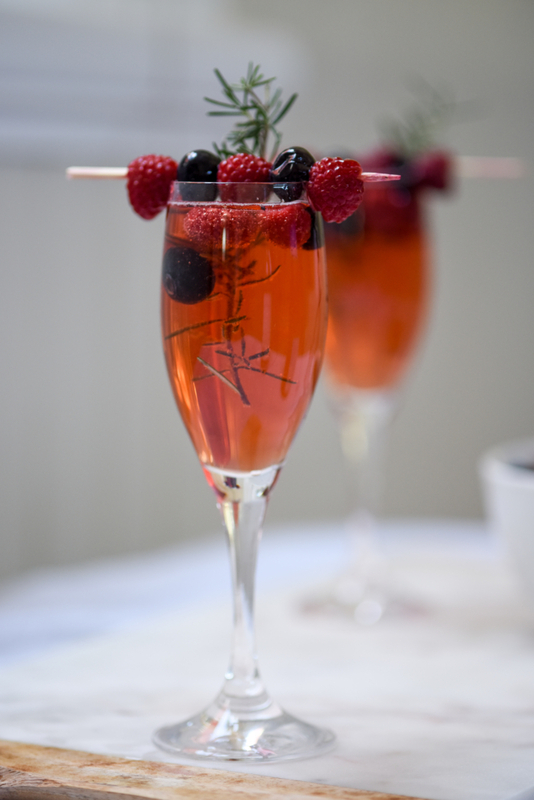 This summery Redcurrant, Pomegranate and Cranberry Bellini is simple to make and tastes delicious! This recipe is designed for a group but can just as easily be adjusted for a treat for one. 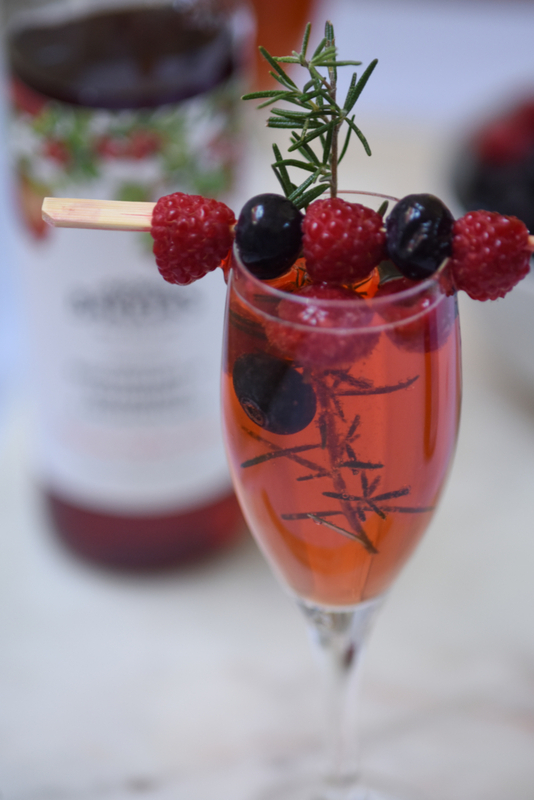 I have used fresh berries and rosemary as a garnish to complement the fruity flavour. 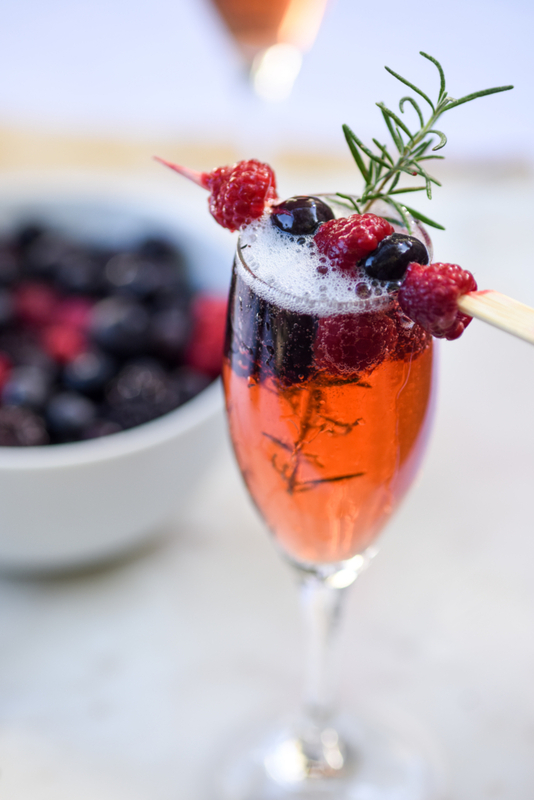 Combine Barker’s Squeezed Redcurrants with Cranberry and Pomegranate Syrup with a bottle of prosecco in a cocktail jug. This post is in collaboration with Barker’s of New Zealand.